How the potential shutdown of ocean currents, fuelled by melting ice caps, could dramatically change our climate. Over the past year cold snaps, heat waves and severe storms have all brought the reality of the climate crisis home to the UK and Ireland. But with the climate changing in fast and uncertain ways, how can we construct buildings that will remain resilient — and keep their occupants healthy and comfortable — long into the future? The penny is starting to drop that profound energy saving efforts in buildings – right up to zero emissions levels – are both necessary and urgent if the UK is to honour its climate change targets. So what’s holding up meaningful action, asks Peter Rickaby? Leading construction testing and research organisation BSRIA has announced that it is concerned with recent findings that toxic nanoparticles from air pollution have been discovered in human brains in “abundant quantities”. Ireland has particular vulnerabilities to climate change and has a very strong stake in ensuring that global action on reducing carbon emissions is effective, according to Laura Burke (pictured), director general of the EPA. Kingspan Insulation UK has published its latest Sustainability & Responsibility Report, highlighting a year of continued growth and sustainable development. Bristol City Council have appointed Gale & Snowden Architects as lead consultants on a scheme of 23 dwellings aiming for passive house plus certification. 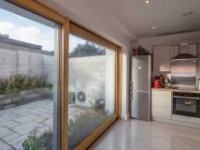 As the climates gets warmer, overheating in buildings is likely to get worse — particularly given the modern architectural preference for huge expanses of unshaded glass. 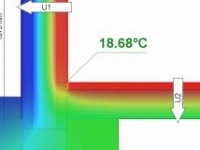 But what really causes overheating, is it really worse in low energy buildings, how do passive houses fare, and what can be done to prevent it? Climate science and building science are set to intersect at a passive house conference in New York on 17 June. April 7 saw the opening of the five-day meeting in Germany, between government representatives and scientists of the Intergovernmental Panel on Climate Change (IPCC), to finalise the third report in a four part series, assessing the options for mitigating climate change and the underlying technical, economic and institutional requirements. Last month saw the release of the second report from the IPCC, in Yokohama, Japan on 31 March. 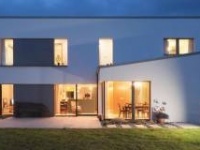 The Irish Department of Environment has confirmed to Passive House Plus that its proposed independent committee on climate change will be an expert rather than stakeholder group. Passive house pioneer Prof Dr Wolfgang Feist has welcomed the publication of the latest IPCC climate change report, and called for urgent action to reduce emissions. 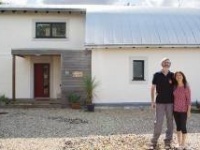 The Passivhaus Trust is calling for entries to the second UK Passivhaus Awards – the only dedicated awards for passive house in the UK, with a focus on as-built performance. The deadline for applications is 15 May 2013. US secretary for energy Dr Steven Chu will speak in Dublin this Friday, 5 November. He will speak at the Pathways to 2050 International Energy Conference, which will take place at the National Convention Centre, Dublin. Energy minister Eamon Ryan launched the new BE (Bachelor of Engineering) programme in energy systems engineering on Monday in NUI Galway. The new course, which will be based in the new engineering building currently under construction on the campus, has been developed in partnership with members of the energy industry including ESB, GE Energy, Airtricity, Bord Gáis and Wavebob. The BER Assessors Association of Ireland will hold its AGM and a series of workshops tomorrow, Friday February 19, in the Red Cow Moran Hotel, Dublin. The workshops are open to members and non-members of the association. Information stands will be hosted by FÁS, Flo Gas, Kingspan Insulation, Kingspan Solar, OWL, Ecological Building Systems, and Construct Ireland. Energy Minister Eamon Ryan today announced the extension of the Accelerated Capital Allowance Scheme. The Scheme, detailed in the Finance Bill, allows companies to buy energy efficient equipment and write off its full cost against corporation tax in the year of purchase. Rising energy use in buildings contributed to an increase of 1.5% in overall energy demand in 2008, despite the economy contracting by 3% over the same period, a new report from Sustainable Energy Ireland (SEI) reveals today. Ireland risks social and economic disaster from climate change unless the government takes urgent action, according to the Irish Academy of Engineers. In a new report the group says delivering critical infrastructure must be prioritised, otherwise the country risks polluted drinking water, extensive flood damage and power blackouts. As fears grow amongst climate scientists that the world may be close to reaching a tipping point leading to runaway global warming, there’s a growing recognition that the forthcoming UN climate conference in Copenhagen must deliver dramatic and binding targets to cut carbon. According to Richard Douthwaite, the talks are unlikely to deliver sufficiently meaningful action.